I hope you all enjoyed a wonderful Thanksgiving! We celebrated at home with some friends and good food, then made a day trip to the NC mountains to pick out our Christmas tree! Expired: I’m thankful for many things this year, but I’m especially thankful for you, my creative friends! 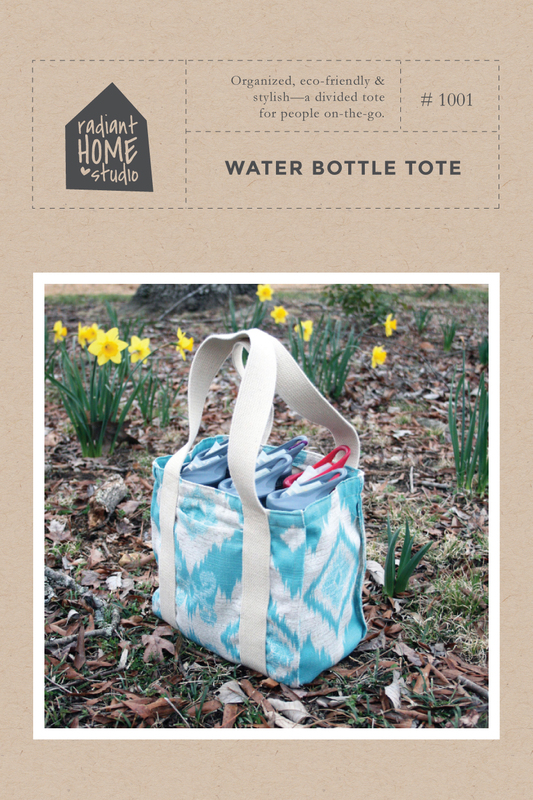 All Radiant Home Studio patterns are on sale for 20% off through 11/27 with code “thankful”. I also wanted to share a few more of my favorite deals & sales with you! 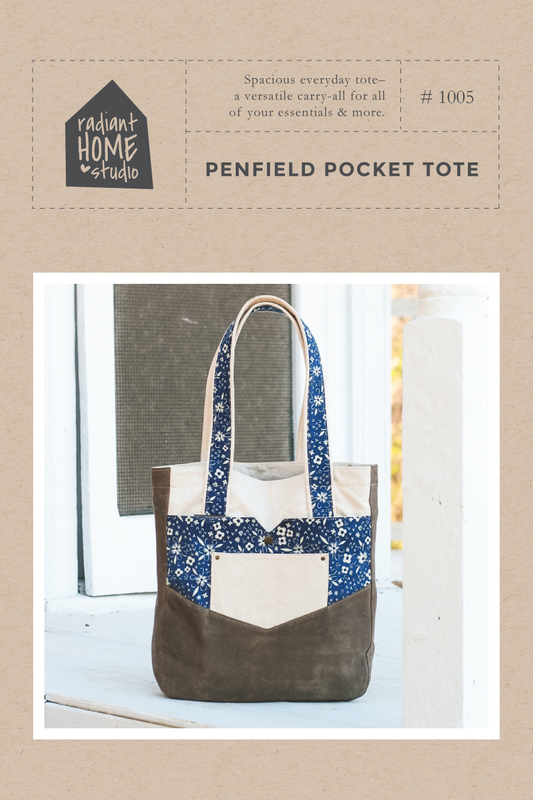 I’ve carefully curated a list of patterns and creative gifts and classes that I have used or bought myself. Most support small shops and independent artists as well! Most of these sales end Monday, but you’ll need to check individual shops for deadlines. 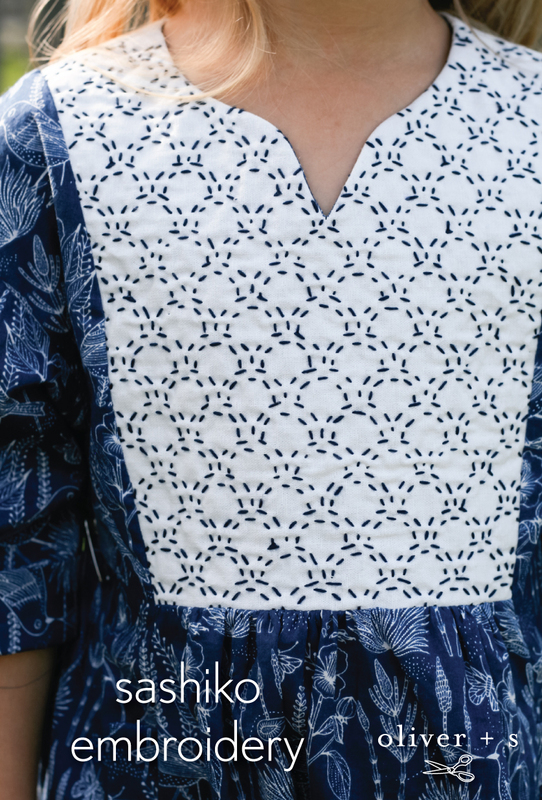 Sew Liberated patterns – 30% off with code “handmadeholiday2018” – this includes the Matcha Top pattern (black top above) and many more beautiful basics. 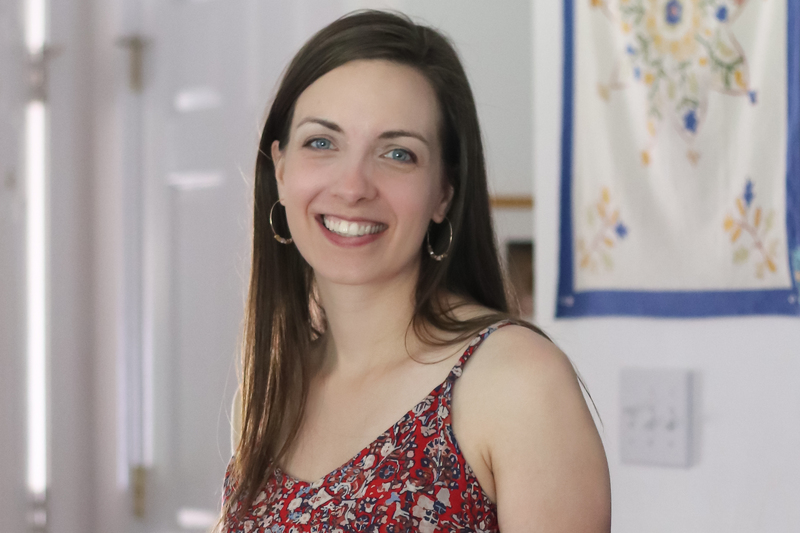 True Bias patterns – 25% off with code “thanks2018” – including the Ogden Cami & Hudson Pants I’ve made several times each! Alina Design patterns – 30% off with code “thanks2018” (expires Mon.) – including the new Fulton Sweater Blazer, which is in my to-do pile! The Confident Stitch – Lots of sale items including 15% off knits and free shipping on orders over $75. 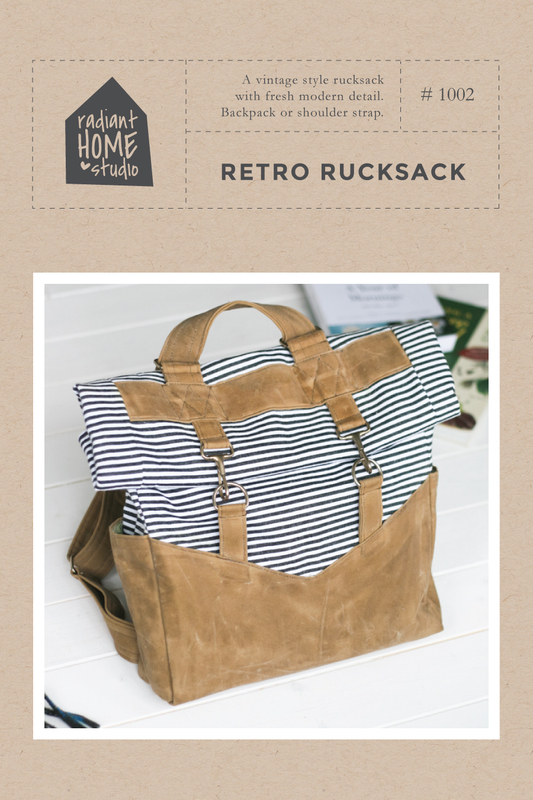 I’ve ordered some beautiful waxed canvas and leather straps from them before! C & T publishing – 30% everything with code “BF2019” through Monday! 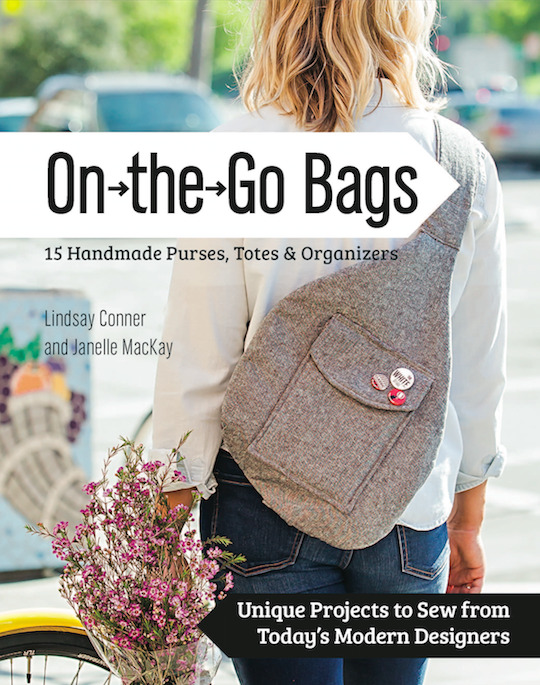 Kraft-tex fabric (which is a great alternative to leather for bags), beautiful craft books (including On-the-Go Bags with one of my patterns), and more! 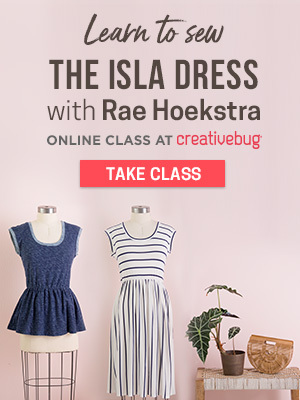 CreativeLive – 50% off all classes – so many crafty classes! My favorites are “Design Surface Patterns from Scratch” with Bonnie Christine and “Improv Quilting Basics” with Cheryl Arkison. 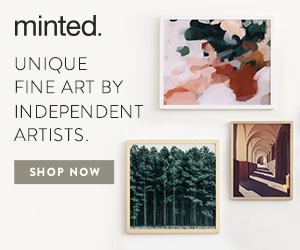 Minted – cards, gifts, and art. 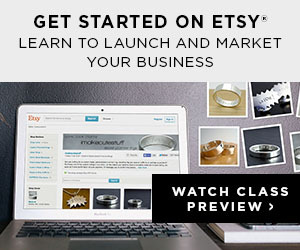 A percentage of each purchase goes to independent artists (like me!) We have a couple of these gorgeous paintings by Jess Franks. And here’s a link to my shop with a fun gift wrap design and some stationery (it can be personalized with your state!). Ink & Elm – wood and photo backdrops. I love these for bloggers and photographers! 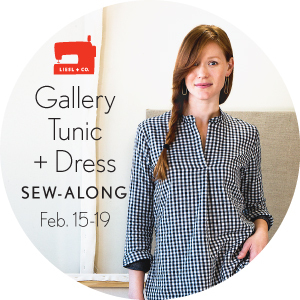 Bonnie Christine – beautiful art, sewing patterns, and more! These are a few of my favorite things! I hope you find some new independent shops and artists to support this weekend! 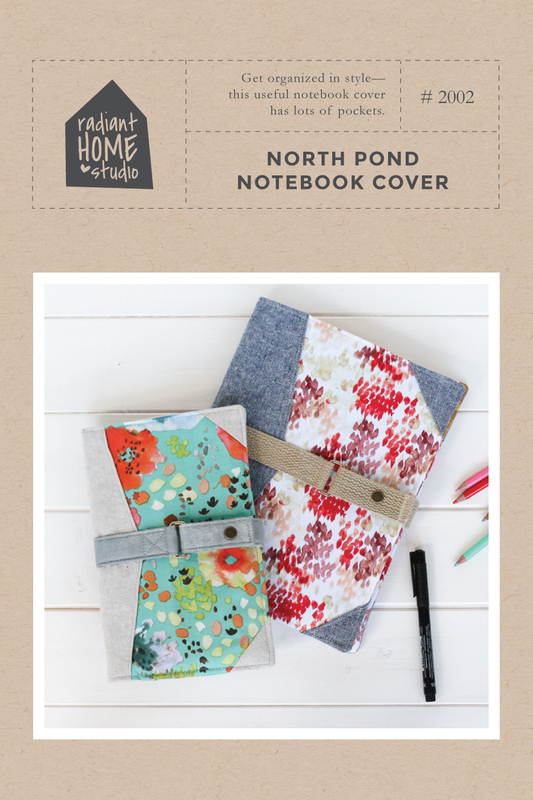 Previous Post: « Last Chance to Get the Handmade with Love Pattern Bundle!